JELC and PJB Brands joint venture celebrates a year in the growing territory. 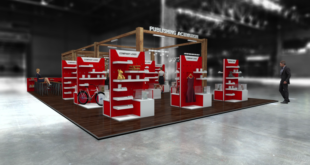 Brand Extensions Russia is heading to this month’s Licensing Forum on a high – marking a year in the business with the launch of its first licensed products at retail. The licensing company is a joint venture by JELC and Greek firm PJB Brands. It handles a number of properties including Gem Fairies, Plain Lazy, Royal County of Berkshire Polo Club, My Cat Pip, Pepsi/7up, Kimmidoll and NBA. Underwear and sleepwear from the Royal County of Berkshire Polo Club brand is due to launch imminently in mass market retail chains across Russia and the CIS. The company has also launched a website and appointed Marina Semenikhina as licensing manager, based in Moscow. "This time last year, BER was new to the Russian market," said Semenikhina. "Since then it has introduced new properties, signed a significant number of licences across many categories and is today about to see product launches at retail. "Licensing Forum will offer is a big chance to tell the market what we have done – and we have a lot to shout about. It’s been an amazing 12 months."